One reason therefore to publish this book is to make it clear that such violence can only benefit the far more sophisticated racist violence of the Tigers. It is therefore vital, that not only governments, which tend to understand this already, but also society at large, recognize the enormity of what happened in 1983 and ensure that it is never repeated. Central to both these partisan interpretations is a denial of the actual role of the government at the time. Tamil extremists claim that the Jayewardene government was typical of Sinhalese governments, ignoring the central role of Jayewardene himself in subverting earlier attempts at political compromise (namely his opposition, along with the overtly racist opposition of his close ally in the United National Party, Cyril Mathew, to the Bandaranaike-Chelvanayakam Pact of 1958 and to the Senanayake-Chelvanayakam District Councils Bill of 1968). Indeed, Jayewardene’s constitutional as it were abhorrence of compromise can be seen in the manner in which he even subverted the District Development Councils he had allowed to be set up in 1981, first by designating Cyril Mathew to head the UNP election campaign, and then by financial strangulation of those Councils. Sadly, not only do these two agendas converge, but they find support in what might be termed the intrinsic support for the Jayewardene wing of the UNP extended by elite decision makers in Colombo. Though some of them subscribed to the Mathew argument that Tamils had had unfair advantages in business, most are not racist in their approach. Their enemies rather are the left wing forces against which they see Jayewardene, and his reintroduction of the open economy in 1977, as the chief bulwark. So they cannot see Jayewardene as a villain, and instead subscribe to the interpretation some members of his cabinet put forward after July 29th, that the violence was perpetrated by leftists who wanted to spread mayhem. Such an argument indeed emerged three years ago, when the photograph that appears on the cover of this book, showing an incident that occurred on the night of July 24th, was used in an advertisement designed to dissuade people from voting for the current President, Mahinda Rajapakse. The text of the advertisement suggested that a vote for him would be a vote for the leftist forces that had engaged in violence in the late 80s, ie the JVP. Ironically, voting against Mahinda Rajapakse meant supporting Ranil Wickremesinghe, who had been in the Cabinet in 1983 and spoken after the events of July in a manner that suggested he subscribed wholly to Cyril Mathew’s social and economic views. That the eminent and very able businessman who devised the advertisement should propagate such a view seems astonishing, and suggests that the facts of 1983 have now been forgotten in comparison with the propaganda value to be obtained from it for particular purposes. The appalling suffering that so many Tamils underwent is therefore ignored, as they become statistics and images to be bandied about to fulfil various political agendas. This volume therefore attempts simply to clarify the record, by republishing a number of writings that addressed the issue direct, very shortly after the actual events. It begins with a section of descriptive essays that also analyse, including the detailed description of what happened in the Welikade Jail massacres, perhaps the most hideous episode in a hideous week. The relentless account of state complicity in what occurred, along with descriptions of the courage of particular officials, the prison guards who risked their own lives to save their charges, Major Sunil Pieris who promptly restored the order that others in the security forces had subverted, is perhaps the best proof that the situation was as I have described it above. This section also includes an account of what might be termed the run up to the events, the racism at Peradeniya which struck the student who wrote this account, Qadri Ismail, as a symptom of what amoral and cynical statist interference had wrought. The next section contains poetry that deals with the events, and with attitudes that contributed to them. This is followed by fiction that addresses both the situation itself, and also the political background. ‘The Lost One’, I should note, won the Deutschewelle short story competition for all South Asia. The final section deals with relevant points of view, beginning with Cyril Mathew’s equation of all Tamils with terrorists, which formed his defence to criticism of his part in the attacks on Tamils in Jaffna in 1981, the precursor – during which the Jaffna Public Library was burnt down – to the events of 1983. In part because of the emotions roused by Mathew’s style of defence, which involved a Motion in Parliament of No Confidence in the Leader of the Opposition, Appapillai Amirthalingam, there were attacks on Tamils in the south of the country in that year too. However, given that Colombo was exempt, decision makers in society were not aware of the enormity of what was brewing. Even then however the initial response was not by ICES itself, but through a hastily set up Committee for Rational Development that could be claimed to be independent even though it was sponsored by the Colombo office. Its work was largely forwarded by Dayan Jayatilleka, now Sri Lankan Permanent Representative to the United Nations in Geneva, whose commitment not only to pluralism but to speaking up for it when it was not so popular must be recognized. I am grateful to him for authorization to reprint material here that appeared previously in the Lanka Guardian. Other material appeared previously in The New Lankan Review and in An Anthology of Sri Lankan Poetry in English, while the account of the Welikade massacres was by the Jaffna University Teachers for Human Rights, whose yeoman work continues to raise issues that should be addressed more promptly than they usually are. Following a report of the response of Ranil Wickremesinghe to the riots, exemplifying the Mathew approach to economic analysis, I include an appeal by Bishop Lakshman Wickremesinghe, the first Sinhalese leader to visit Jaffna after the events. The section concludes with my own impressions of that period, culminating in Bishop Lakshman’s death. He had made the journey to Jaffna, in the midst of other frenetic activity, even though he was already very ill, because he felt it imperative that the process of healing should start immediately. I think it is not a coincidence that Lakshman Wickremesinghe and Dayan Jayatilleke, separated by thirty years in age, are together renowned for having obtained the two best first class degrees in political science from Sri Lankan universities. From different perspectives, when less perceptive members of intellectual and social elites were more complacent, they assessed accurately the corrosive effects of the racism that was rearing its head in government in the early eighties, and the long term damage this could do to the country when combined with authoritarianism. The ideas Bishop Lakshman expressed then might, had they been implemented, have averted some of the polarization that has since taken place. But he died soon after, a martyr to his sense of duty. Instead of healing we had political chicanery, discussions that were subverted as described in essays in this book, while terrorism became more aggressive. 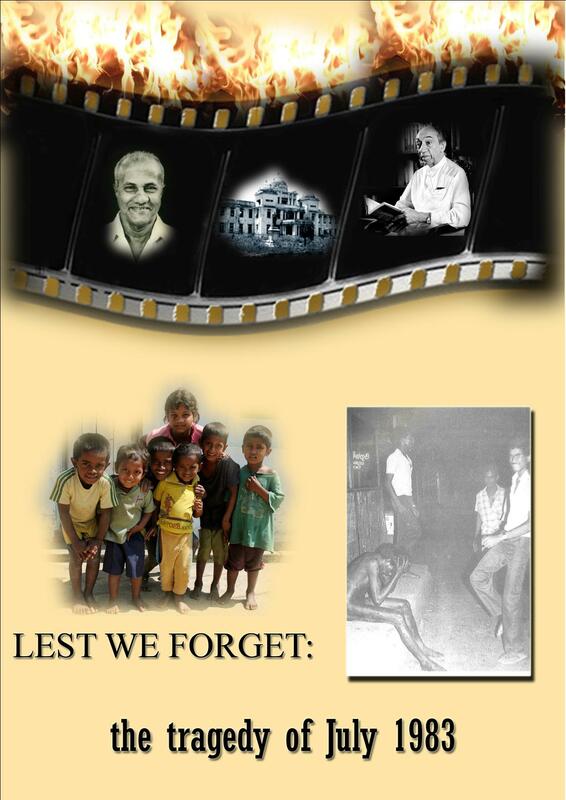 It is with regret then for the wasted years that followed that this book is dedicated to the memory of those who died in that awful period; and of Lakshman Wickremesinghe, Bishop and Chairman of the Civil Rights Movement of Sri Lanka.